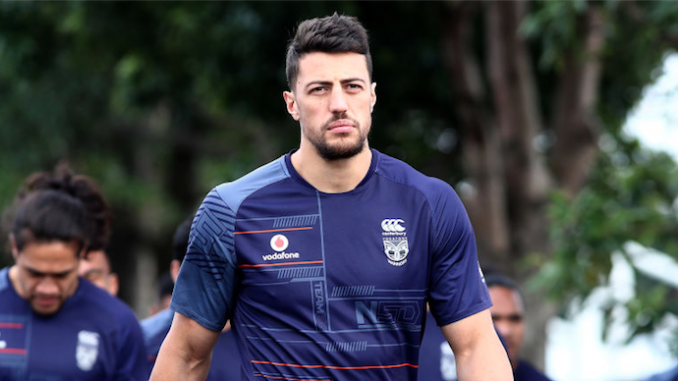 Widnes have confirmed their squad numbers for 2019, and new recruit Anthony Gelling will wear the No. 4 shirt. Of the 27 numbers allocated ahead of next season, 17 of them came through the club’s academy system. World Club Challenge and Grand Final winning centre Gelling will wear the number four shirt vacated by Charly Runciman at the end of this year. Jack Owens, who returns to the club after spells at St Helens and Leigh Centurions, takes the number five jersey. Other new signings for 2019, Adam Tangata and Liam Hood, will wear nine and 10 respectively. Olly Ashall-Bott will wear one, while Jay Chapelhow takes the number eight shirt, which was previously worn by Gil Dudson.